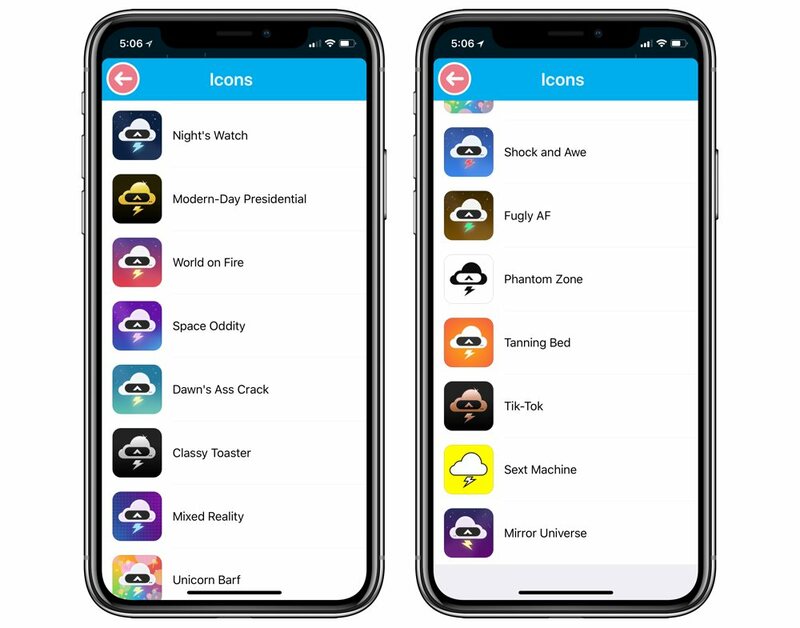 Off the top, Carrot Weather 4.5 introduces alternate app icons to further bolster the app’s customizability. Like the rest of the app, the alternate app icons all have satirical names and poke fun at many of today’s latest social and political hot topics. 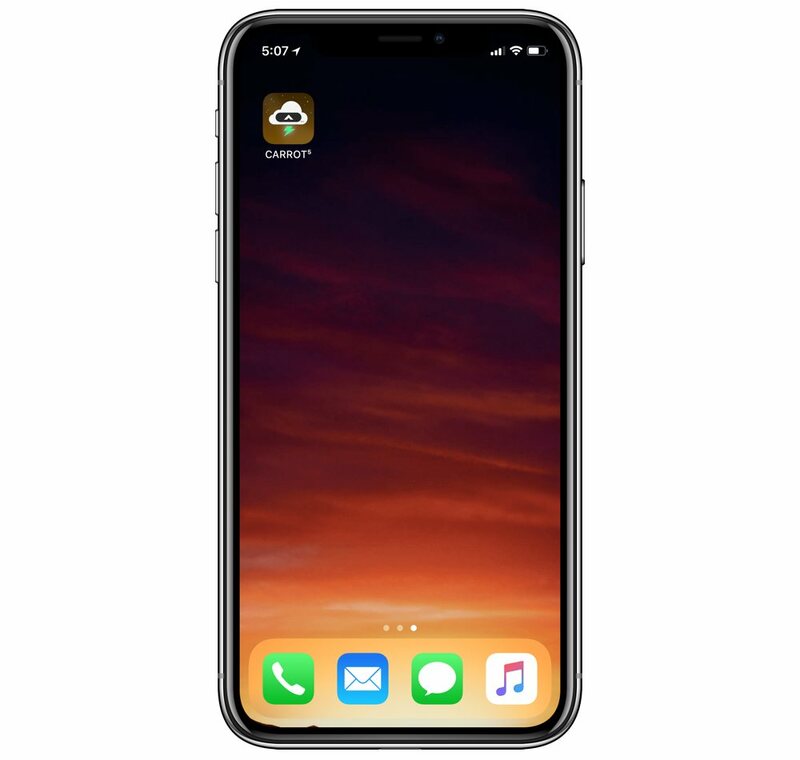 Choosing an alternate app icon immediately changes the app icon on your home screen and keeps the alternate icon even when the app is closed — a nicety of iOS that still hasn’t made its way over to macOS. 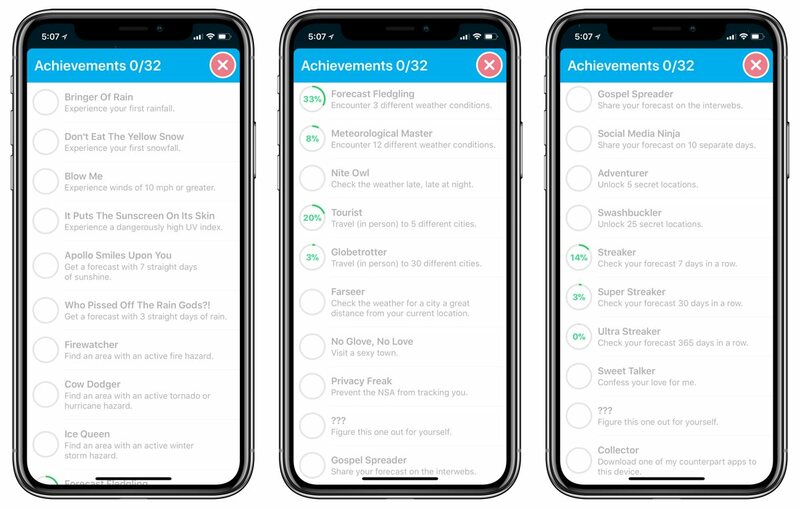 Carrot Weather 4.5 also introduces in-app achievements. With the same satirical approach, achievements reward you for checking the weather each day, sharing your forecast on social networks, and venturing out of your home region to experience new weather patterns. As always, Carrot Weather’s approach and the now-included achievements make for a fun, tip-toe-on-the-line sort of experience. Secret locations upgrade: Discovering secret locations inside the app has become quite the in-app game, so they’ve been moved to their own section of the app. Location screen improvements: You can now rearrange your saved locations via drag and drop on iOS. Weather Underground station ID: Weather Underground users will now see the weather ID flash in the location bar when loading your forecast. 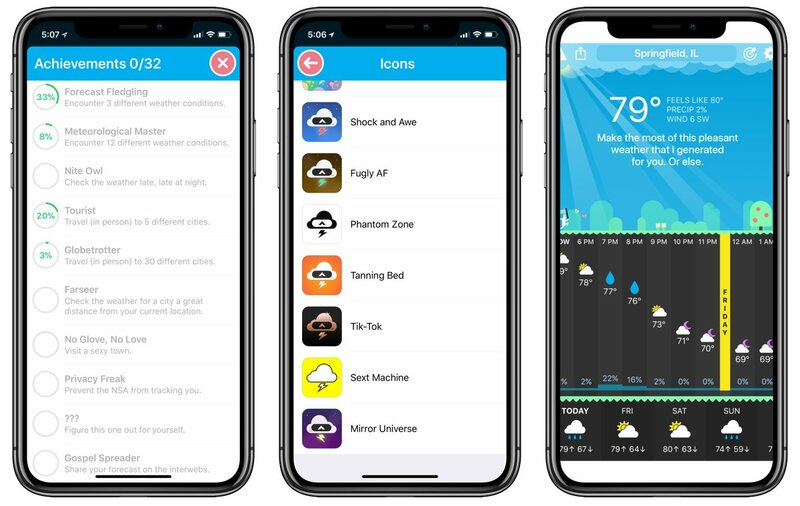 Other improvements: Expiration dates for severe weather alerts, customization options for current forecast slots, and a new complication for the Apple Watch that looks better on large Modular and Utility slots. Carrot Weather remains our pick for the best weather app for iPhone, iPad, and the Mac, thanks to its quick and easily digestible interface, Dark Sky and Weather Underground support, great design, and brimming personality. The latest update to version 4.5 only serves to improve our take on the app as a whole, but especially in the whimsy and character categories. You can purchase Carrot Weather on the iOS App Store right here for only $4.99.